This is what the starting point looked like as we boarded several small boats. We never saw how our luggage traveled. When we arrived at the hotel later our luggage was in our rooms. 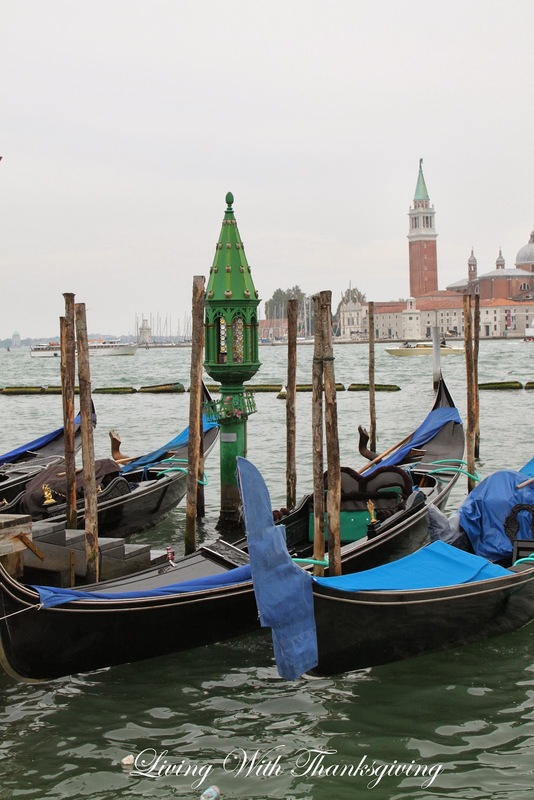 We rode from the mainland on private launches similar to this on the Grand Canal. My mind was racing with excitement and there was so much to see. 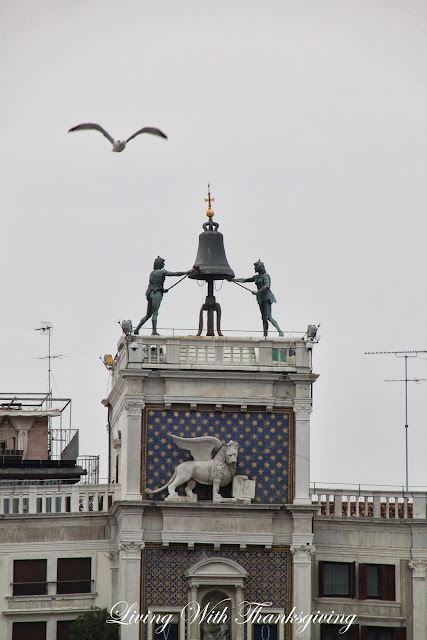 You can read about a city but being in Venice and seeing the sites for myself was a thrill for me. The cruise ships are huge that are cruising by. 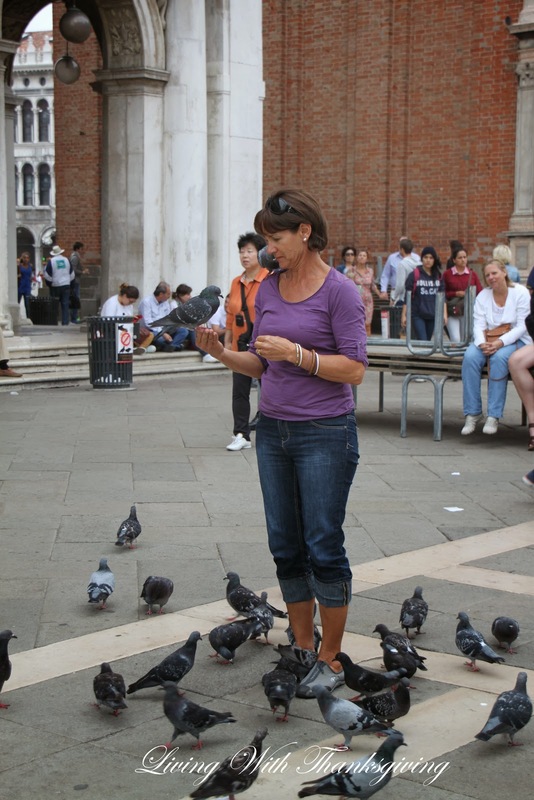 St. Mark's Square is full of people and many pigeons. The Doges Palace with its gothic architecture made of pink and white marble was the seat of the Venetian government and home to the ruling duke or doge for 400 years. The doge lived with his family on the first floor. 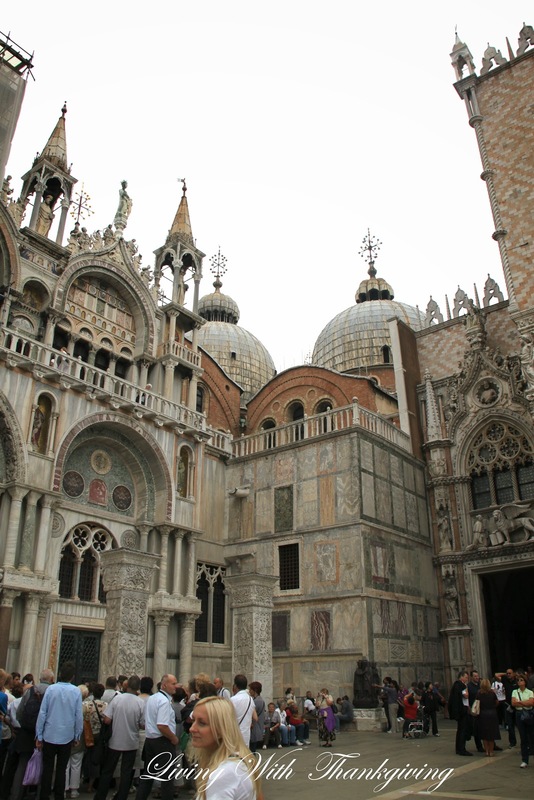 You can view a fabulous panaroma of San Marco Square here. The water front side of the Doges Palace. 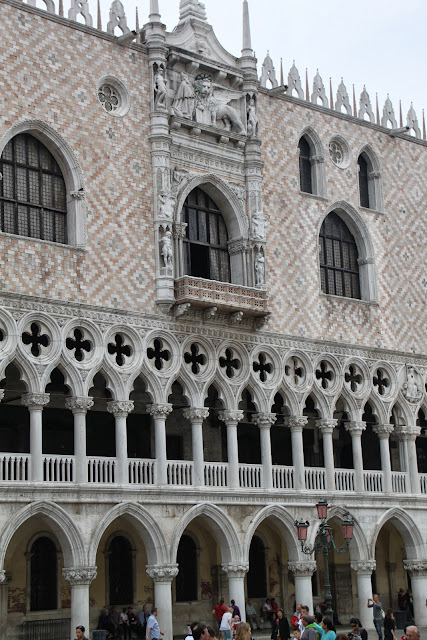 Stunning architecture with gorgeous quatrefoil on this beautiful palace. The statue with the lion was our tour groups meeting place. Do you see the green umbrella? Guides use umbrellas to have their groups gather around to go to the next activity. We heard the familiar phrase, andiamo ( 'ahn-DYAH-moh) which means "let's go" often. The clock tower was built in1496! At the top of the tower there are bronze men ( Moors) that swing their clappers together chiming on the hour. 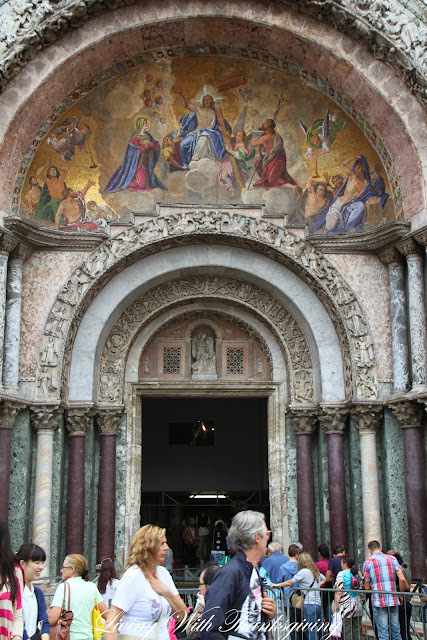 St. Mark's Basilica is exquisite and huge. More detail in the next picture. Saint Mark's Basilica with gorgeous mosaics. 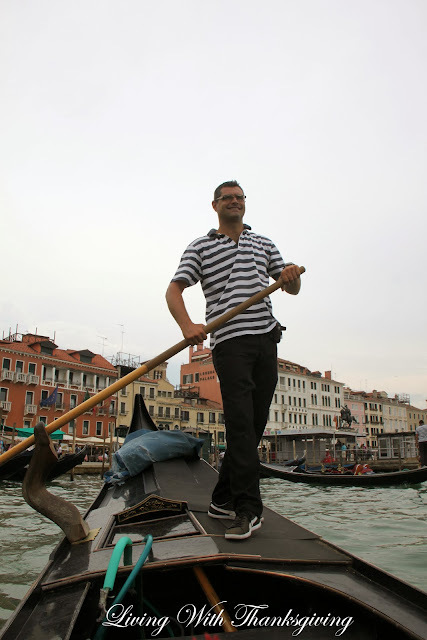 The ultimate excitement was our gondola ride on the watery streets. 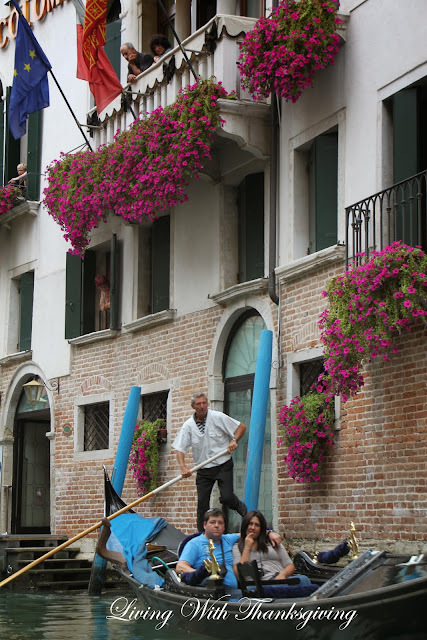 The venetian canals are romantic and the facades of the homes are decorated with beautiful flowers. 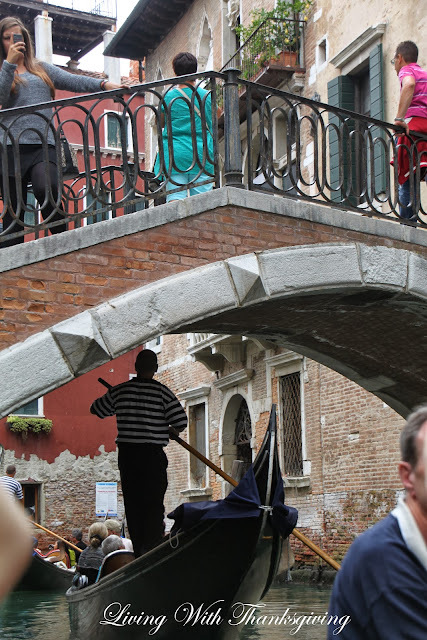 It is amazing to watch the gondoliers skill. Our gondola ride was magical with romantic songs being sung as we drifted beneath the bridges. You can see the Bridge of Sighs behind us. Of all times to get our picture made I missed photographing the famous bridge. Oh well, I made too many pictures anyway! According to Rick Steves, supposedly a condemned man would be led over this bridge on his way to the prison, take one last look at the glory of Venice and sigh. 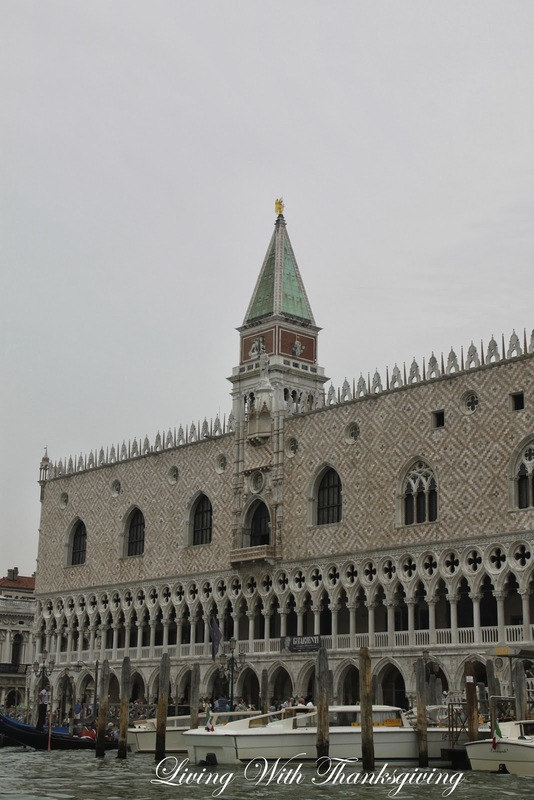 You can walk across the bridge from the inside by visiting the Doges Palace. Later after our dinner we were again treated to a fairytale evening boarding water taxi's to view the Grand Canal and see all the palaces illuminated. Sorry for a blurred pic but keep in mind I am in a similar water taxi making this pic of some of our group. This was so much fun I didn't want it to end. Quite a nice 42nd anniversary present! After our cruise we sat in one of the cafes adjacent to St. Mark's square listening to a live orchestra sipping a Bellini. What a delightful evening it was! 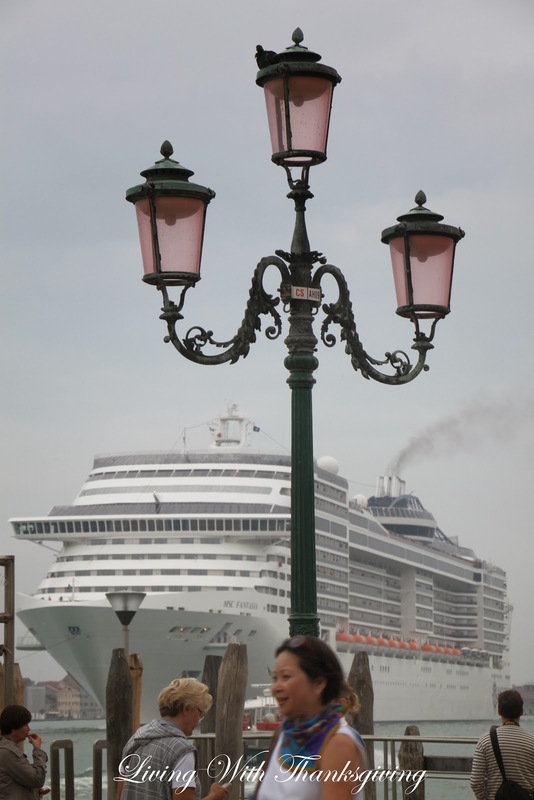 I hope you enjoyed traveling with me to Venice. 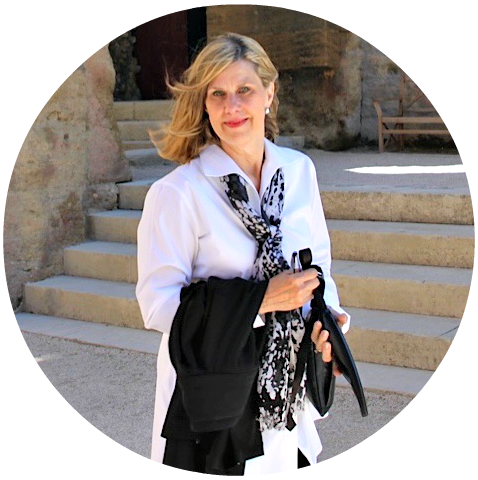 My next post will be Assisi and Spello and then onto Sorrento, Capri and Positano. 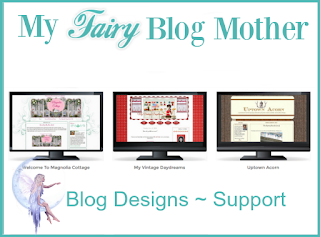 Would you consider following my blog if you are not already a follower. Please tell me what your thoughts are about this post. Your comments mean so much. You may view, Part 1 Italy Tour : Rome.....the Eternal City here. 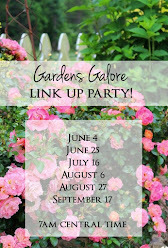 Linking to: Oh, THE PLACES, I have been, Wow Us Wednesdays, Open House Party Thursday and Seasonal Sundays. 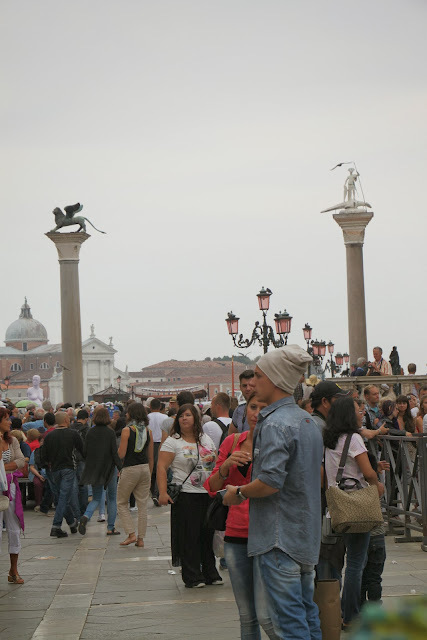 Glad that you had fun in Venice and Happy Anniversary! Looking forward to seeing your takes on Capri and Sorrento! 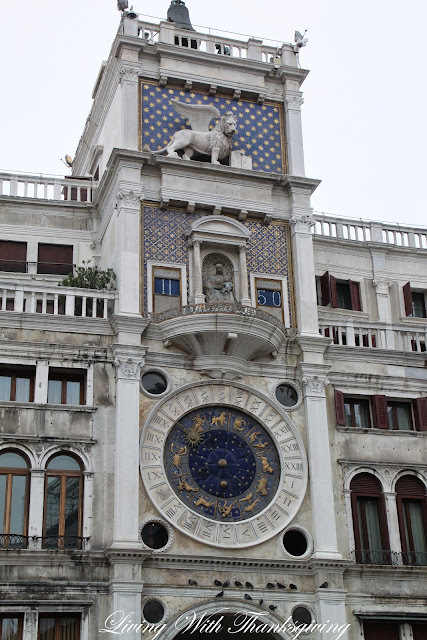 Your time in Venice looks magical. 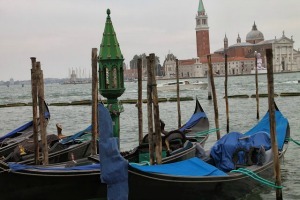 I've walked around there but did not get to take either a gondola ride or a water taxi. I would love to do that someday. That cruise boat is huge! Hi Bonnie, It looks like you had an amazing anniversary in Venice! I am so happy I found you through "The Tablescaper" and can't wait to read through your older posts. 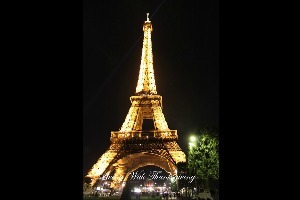 I hope to visit there some day! Venice is a place of wonder. Don't you just love canal travel? Enjoy, my friend. fabulous holiday, you are stirring back my memories, we spent a month in europe on our honeymoon, our cruise ended in venice, heavy sigh of contentment... you look so happy, love armchair traveling! What a beautiful tour of Venice and a memorable way to spend your anniversary. We spent part of our 10th there a few years ago. Love Venice and you captured its romance and magic. We didn't do the gondola ride and will save it for next time. Looking forward to reading the rest of your Italy posts. I love Venice. The first time my husband was there, he called it an adult Disney Land! But I have never seen a cruise ship there. So neat. It looks positively huge. Great to have you at Oh the Places I've been! 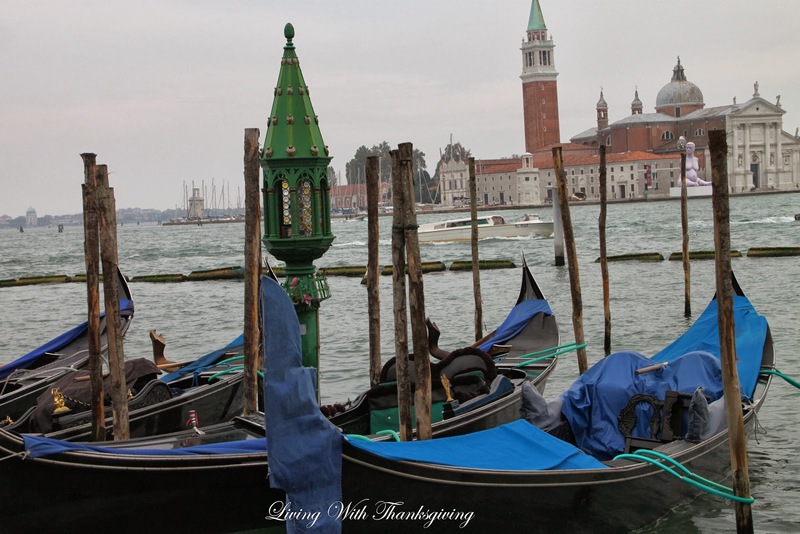 Thank you for sharing - oh, how I would love to visit Venice! The water looked choppy and that huge ship dwarfed everything. Looked like an enchanting and romantic adventure. Great pictures...I'm so glad y'all were able to go. many other lovely spots in Italy)! These pics look amazing and have wonderful thanks giving day. 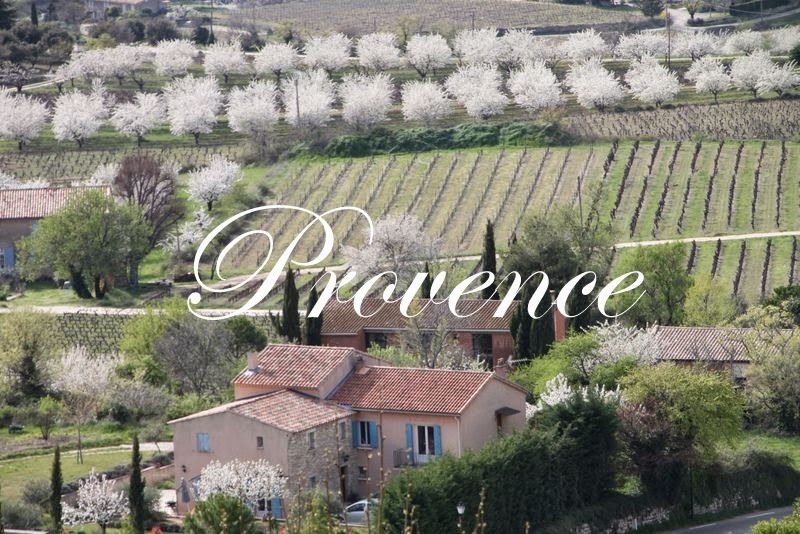 Wonderful tour, thanks for sharing it on the travel linky. 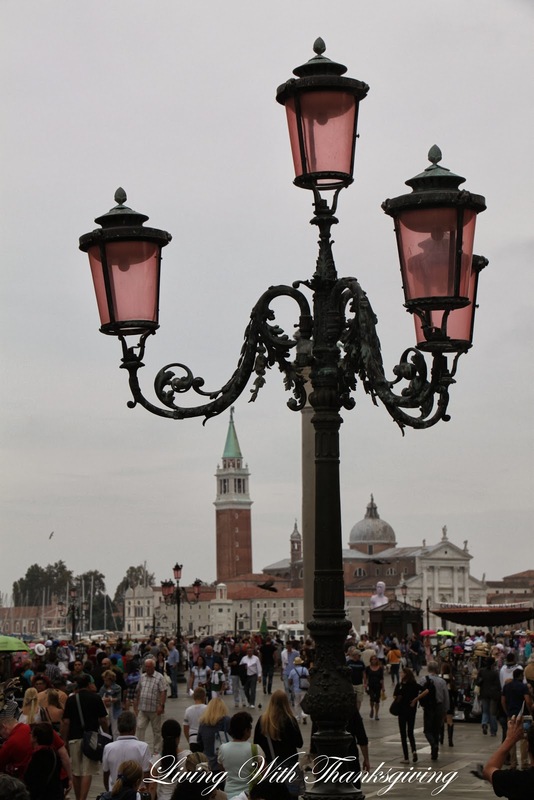 Bonnie, Venice is one of my favorite cities...it is magical and romantic! You captured so much of its beauty. I have been twice and we were also there in 2013 for our 40th anniversary! Thanks for the memories, have you made your travel plans for this year? Wow - what a place to spend your anniversary! Your photos are beautiful and you brought back some wonderful memories. I visited Venice with friends about 25 years ago and would love to go back someday. Truly a magical place! 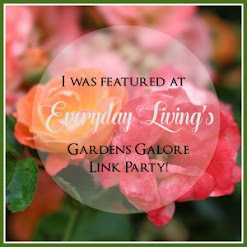 Thanks for sharing at Take Me Away! Enjoy your weekend! Wonderful pictures, Bonnie! You really captured the magic of Venice!